How to Use Backup and Restore ? 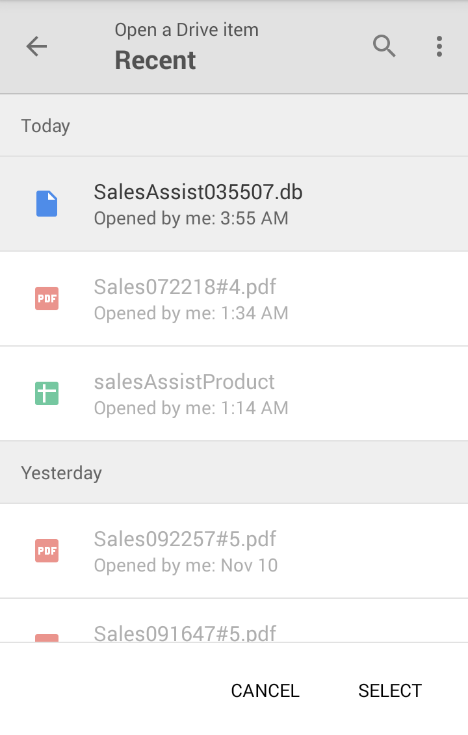 By clicking on the Backup all the data of the application will store on the google drive , It will help user to keep data secure in case of data loss and setting a system . Ex : “Sale assist096217.Db “. 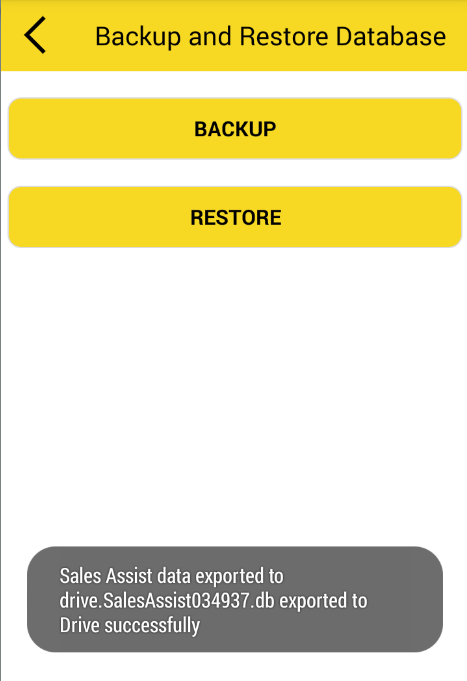 By clicking on restore option user can copy files from a backup to the original place .User can restore data only when the backup has been taken. – By clicking on Restore, User will redirect to google drive where user can see previously taken backup means “. Db” files. – By clicking on ” .Db” file and clicking on select button at footer user can restore data. By Satish Mantri|2018-09-21T06:55:36+00:00May 8th, 2018|Comments Off on How to Use Backup and Restore ?